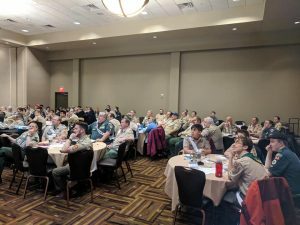 Just a few weeks ago, Section C-7 held their Winter Council of Chiefs (WCOC). 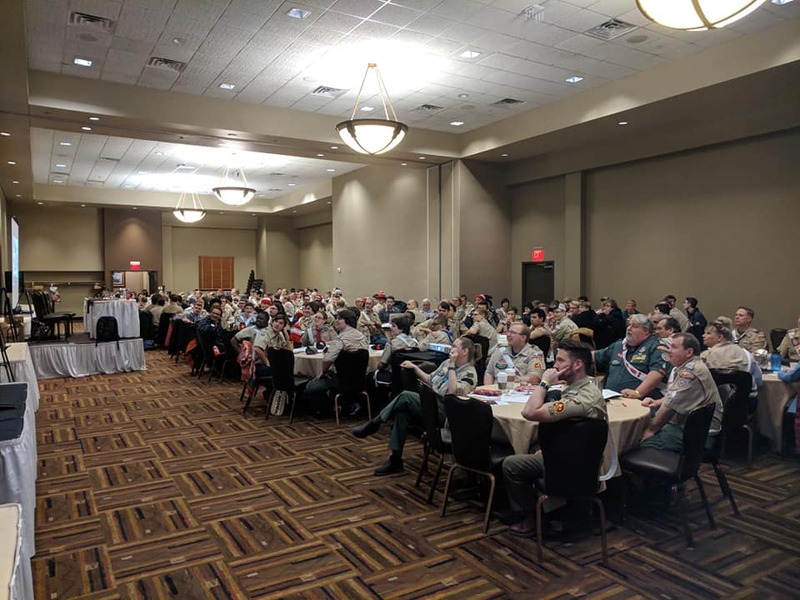 But with over 200 arrowmen attending, this was not your typical WCOC. 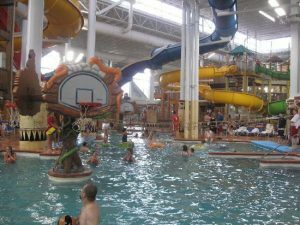 Held at the Kalahari Resort in the Wisconsin Dells, Section C-7’s WCOC has the perfect balance of business and fellowship. For their grand entrance, the C-7 officers walked on-stage after the playing of this video, a spin-off of the one shown during the nightly shows at NOAC. After a good laugh, the Council of Chiefs got to business with lodge reports and some leadership training, all before lunch. During lunch, the officers released a buzzfeed quiz to find out which section officer you were the most like. Lots of planning for conclave took place after lunch. 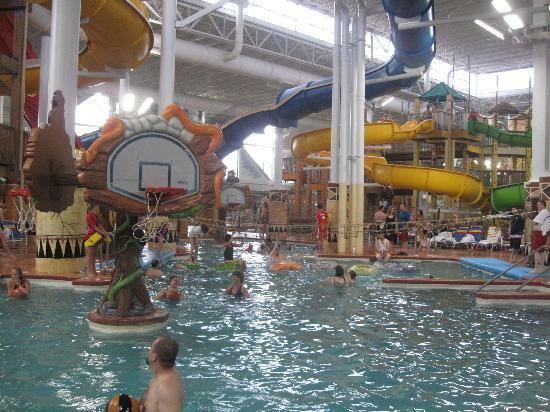 By late afternoon, the business meeting had ended and arrowmen were on their way to the waterpark and arcade to spend a night of fun at the Kalahari before driving home Sunday morning. At each of their 3 main events throughout the year, Section C-7 tries to give back to the community in some way. At this year’s Winter Council of Chiefs, Section C-7 collected old electronics which they then took to an electronics recycling plant. But that’s not all! 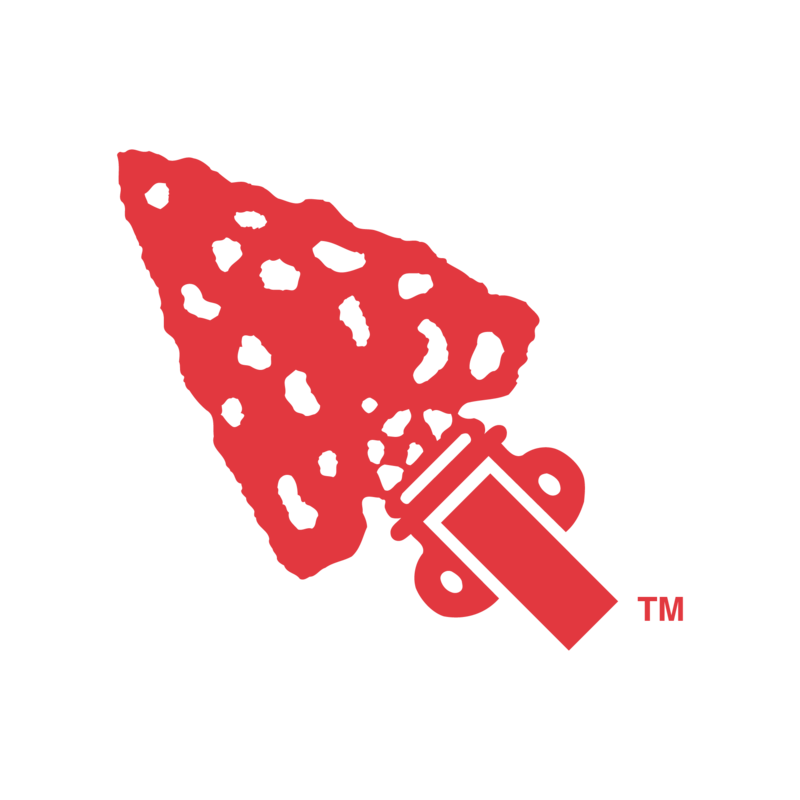 For each item an arrowmen brought to the WCOC, they were entered into a raffle to win a free trip to their Section Conclave! Speaking of Section Conclave, C-7 has historically asked arrowmen to bring canned foods which they then donate to a local soup kitchen at record breaking amounts of food. Although they may be geographically small, Section C-7 has a huge membership from the densely packed areas of Milwaukee WI, Madison WI, Chicago IL, and Gary IN. Want more information on Section C-7? Follow their Facebook, Instagram, and Twitter pages @OASectionC7 to get the latest news and memes from their very active communications team, or visit their website.